The warm Atlantic water continued to flow into the icy Nordic seas during the coldest periods of the last Ice Age. An Ice Age may sound as a stable period of cold weather, but the name can be deceiving. In the high latitudes of the Northern Hemisphere, the period was characterized by considerable climate changes. Cold periods (stadials) switched abruptly to warmer periods (interstadials) and back. It is considered by many that during cold periods of the last Ice Age the warm Atlantic water had terminated its flow into the Nordic Seas during the glacial period, says Mohamed Ezat, PhD at Centre for Arctic Gas hydrate, Environment and Climate (CAGE) at UiT, The Arctic University of Norway. The study, published in Geology, documented that bottom water actually grew to a temperature of up to 5⁰C at 1200m depth in the Nordic Seas during the cold stadials. Cold bottom water temperatures of 0.5⁰C was detected during the warm interstadials, which is not dissimilar to what we experience today. So the air was getting colder, but the deep ocean water was getting warmer during some of the coldest periods of the Ice Age. How is this possible? Colloquially referred to as the Gulf Stream, the warm North Atlantic Current is partly to blame for our mild North European winters. It flows into the Nordic seas, where it cools down in winter and releases heat into the atmosphere. It becomes denser and sinks to the bottom of the Nordic seas. It creates a significant part of the global circulatory system of ocean currents. Cold, deep water from the small area of the Nordic seas, less than 1% of the global ocean, travels the entire planet and returns as warm surface water. This has remained a fairly stable process for the last 10,000 years. The events here are significant for the entire ocean system. However, if we go back to the Ice Age things were quite different, says professor Tine Rasmussen from CAGE. The reason that ice sheets across Scandinavia and North America produced a substantial amount of fresh melt water from icebergs. This means that the surface water could not reach the required density to sink‒ this is a process that relies on salinity. The warm Atlantic water was saltier, and thus heavier and subducted at depth and reached to the bottom, actually heating up beneath a lid of ice and melt water, that prevented the release of heat into the atmosphere. Warm water was present, but deep under the cold, icy surface. So the climate experience was colder, as the atmospheric records from Greenland ice cores display. But what eventually happened, is that warm water reached a critical point, surged upwards to the surface, and contributed to the abrupt warming of the surface water and atmosphere, says, Ezat. Prof. Rasmussen suggested this previously in 1996 and a conceptual model was published in 2004. The results were debated because they didn’t contain the exact temperature and measurements. Ezat and co-authors applied a new method to measure the exact temperature from the sediment cores collected north of the Faroe Islands, says Professor Rasmussen. The temperature is measured in the shells of single celled organisms called benthic foraminifera. When they die the shells become part of the ocean sediment. The temperature of their lifetime stays engraved in the chemistry of their shells, making them micro-thermometers that reveal the climate of the ages long gone. 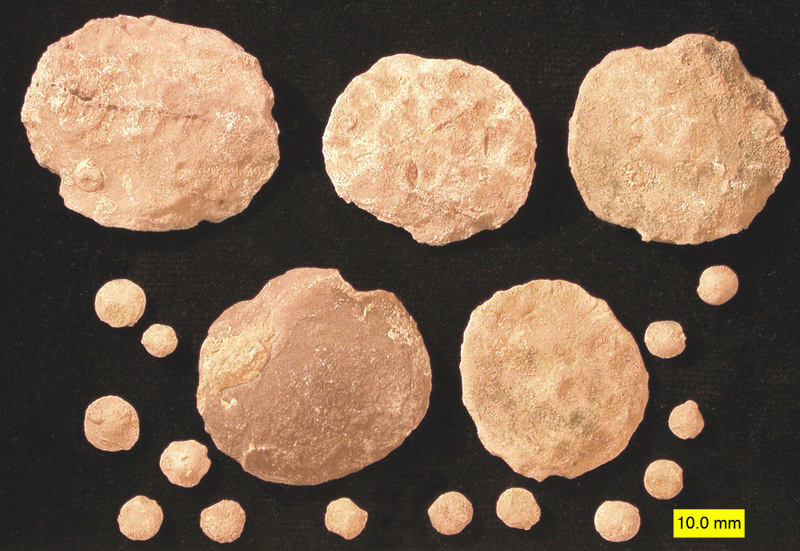 The amount of magnesium in the shells of specific species of foraminifera depends primarily on temperature. By measuring the ratio of magnesium to calcium the changes in temperature can be estimated. According to Ezat, they were lucky to find a continuous record of well-preserved benthic species for the analyses. Understanding what happened with our ocean systems during the Ice Age, aids in our understanding of what may happen to them if ice on Greenland and Antarctica melts in the future. Fortunately, the ice sheet over Greenland is a lot smaller than the ice sheet during the Ice Age and thus with less potential to seriously disturb the system. Ezat points out that it is however, imperative to consider recent localised changes around Greenland and Antarctica in light of the results. The basal meeting due to subsurface warming represents an important component of the current ice mass loss. Also, increase of melt water in the East Greenland Current can possibly cause a weakening in the deep convection in the Nordic Seas. This may cause a warm subsurface inflow that may reach bottom on the East Greenland slope. Such a scenario, though very uncertain, has the potential to influence the stability of gas hydrates on the slope. Gas hydrate is essentially frozen methane gas under the ocean floor. If it melts it has the potential to release massive amounts of this hyper potent greenhouse gas.